Lucite and luxe fabric merge in the name of style. 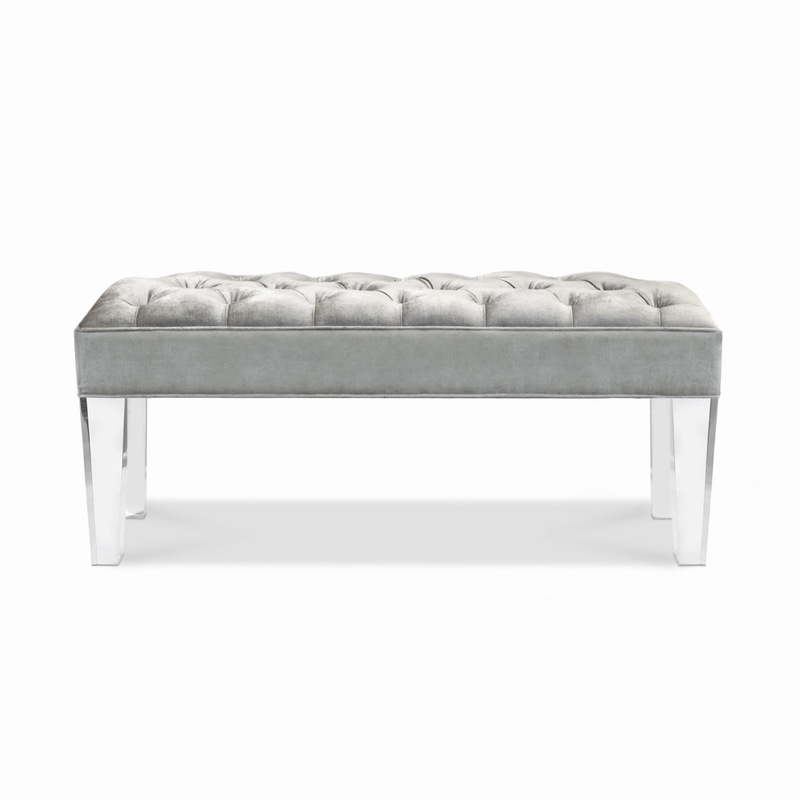 Lavish and stately, this diamond-tufted Luciano Lucite Bench looks as inviting as it does impressive. 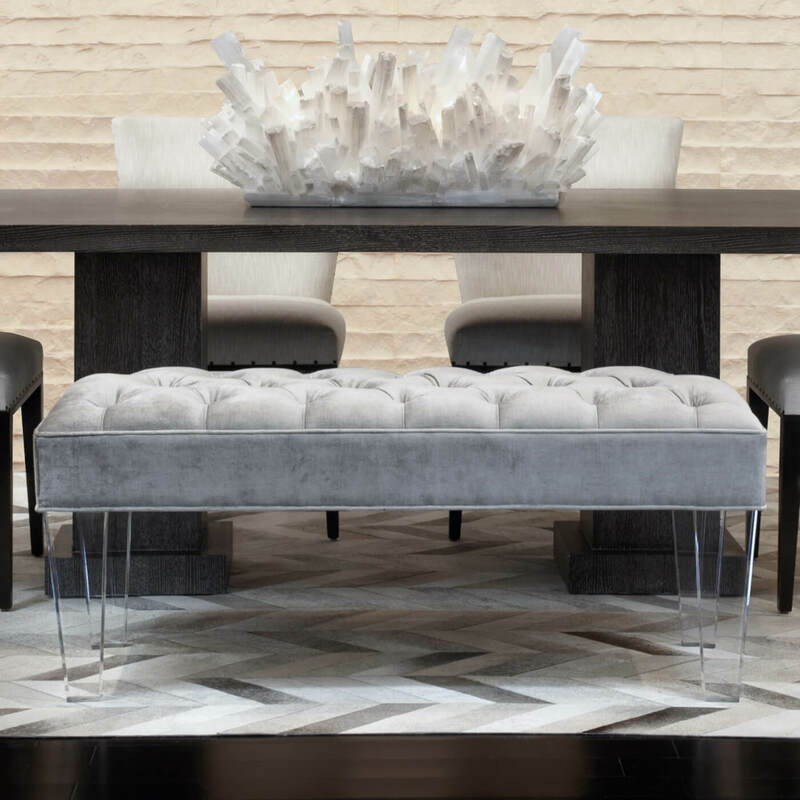 Lucite legs provide function while freeing up visual space. 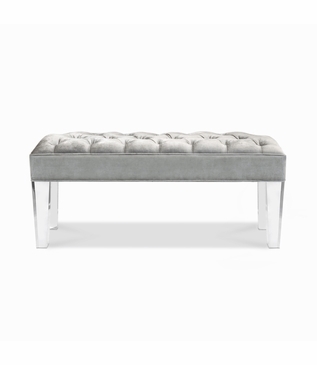 As with all pieces from our Custom Furniture Collection, this bench is made-to-order in Los Angeles and can be infinitely customized. Choose your own dimensions, fabric, and tufting style. Also available in customer's own material (COM). For pricing, please call, e-mail, or submit an online quote request. Dimensions: W: 48" • D: 19" • H: 19"